Is it news, then, when a pastor wears something other than pleated khakis in 2018? No. But that doesn’t mean it’s wrong to report on each successive wave of hipster pastors, particularly the successful ones. In between posting Instagram stories, Veach and his peers are attracting many thousands of young people each week to their churches. That’s not just a trend, it’s a movement. Hybels led a congregation of 25,000 and the Willow Creek Association, based on his leadership, counts 11,000 churches worldwide as under its influence. He abruptly retired last year. Hybels emerged as a “cool” youth pastor riding a Harley-Davidson and quickly grew his flock. Unlike many other non-denominational megachurches, Willow Creek elevated women to senior positions—but that allowed the former pastor to prey on ambitious young women, according to Nancy Beach, who came out of Willow Creek and is now a prominent evangelical thought leader. Willow Creek is pretty much a denomination unto itself, and Hybels is only a few years older than me, which means he was "cool" in about the '70's (I'm too lazy to do the accurate historical research). And now it turns out his "cool," like that of Jimmy Swaggart and many an "evangelist" gone by, was also a cover for, shall we say, sexual improprieties? The fuller story is here. I'm less interested in the details and the allegations, than in the nature of "cool" pastors who eventually return to earth to be human beings. That, and the nature of church "movements," which seem to depend so much on individuals, and yet seem to be endlessly appealing to modern Americans. Something about being "cool," I guess. It might even have something to do with evangelicals supporting Donald Trump, or even the poisonous cult of personality in general that allows us to see "our guy" as "one of the good ones," no matter what (the women who accused Hybels never felt the process that exonerated him was fair or just; since it was run by people selected by Hybels, how could it be?). 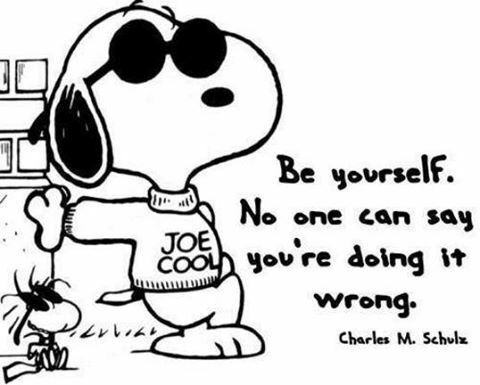 Something about being "cool," I guess; or ultimately, about being "yourself." Funny thing is, people can tell you that you're doing it wrong. It happens all the time. Often, they're right. Sounds like Scot Sloan, "the fighting young priest who can talk to the young"! "When the radical priest come to get me released/we were all on the cover of Newsweek!"